The Deputy President of the Senate, Senator Ike Ekweremadu, has denied reports and statements insinuating that he called for a military intervention in the country. The senator faulted the claims on Sunday in Yenagoa, when Governor Seriake Dickson of Bayelsa State hosted him and other African lawmakers attending the 74th Commonwealth Parliamentary Association (Africa Region) Executive Committee to a dinner. In a statement by his spokesman Uche Anichukwu, he maintained that his comments on the floor of the Senate were either being twisted or misconstrued by some persons. 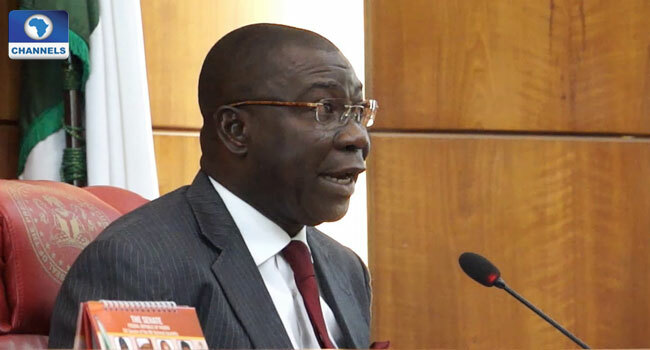 Ekweremadu restated his respect for the Nigerian Armed Forces and advised that comments made by lawmakers in the course of their duty should be situated within the proper context before any form of reaction. Although he explained that legislators have a duty to continue to defend democracy in the country, he cautioned fellow politicians against the mistakes of the past which he said inevitably led to the abrupt end of the previous republics. In his words, the Deputy Senate President said, “We had one of our colleagues from Kogi, who was hosting a constituency briefing and empowerment. He alleged that the state government sponsored thugs to chase away people, disrupt the programme, and destroy the equipment he bought for his people. “We condemned such acts, especially where in a particular case, the house of a parliamentarian was pulled down. We condemned a case whereby parliamentarians were stopped from holding meetings and where a parliamentarian was stopped from coming to a state where he was governor for eight years. Ekweremadu insisted that some people took it out of context and said he was calling for a military coup. He, however, denied making any statement of such, or that the military was planning any coup. “Even the military’s statement admitted that my statement was only cautionary and that we were sincere. But they went as far as saying that the international community should ignore my words of caution”, the lawmaker said. He stated further: “I hold the Nigerian Army and the Armed Forces in high regard. They have defended our democracy, our people and have acquitted themselves creditably. If they need anything now, it is encouragement because this is not the best of times for them. “But we do hope that when parliamentarians make statements, they (the military) should be able to know exactly what they said before reacting so that we don’t overheat the system. “Our debate is circulating on the internet, unedited, and I never said the army was planning a coup and I never invited them to plan any coup. “But I strongly hold the view that our political leaders should ere on the side of caution by refraining from past mistakes and actions that are inimical to democratic practice”.